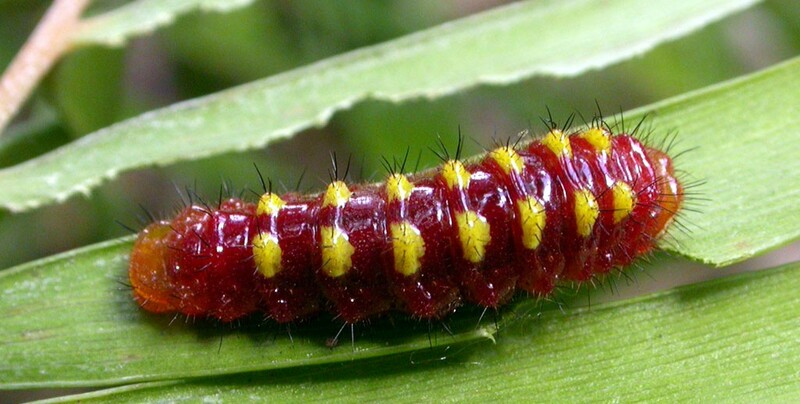 There are many animals that sing but did you know that a certain species of caterpillar can sing? And what’s more they sing their song to attract ants. The singing caterpillars of the Riodinidae and Lycaenidae species rub one of their lips on their own abdomen to make a sound that is not particularly tuneful, Christian Aquilera they are not, but it is remarkably similar to that of a Queen Ant. By singing this song the freaky red and yellow caterpillars are able to trick the ants into thinking they are their queen. In doing so the ants are happy to bring the caterpillar food as well as protect them from predatory wasps.